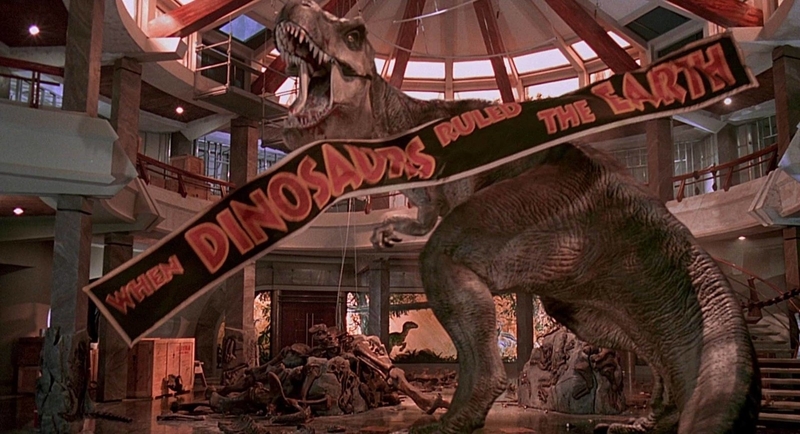 If you were a kid (or heck even an adult) in the '90s you may have heard of a lil' old film called Jurassic Park. 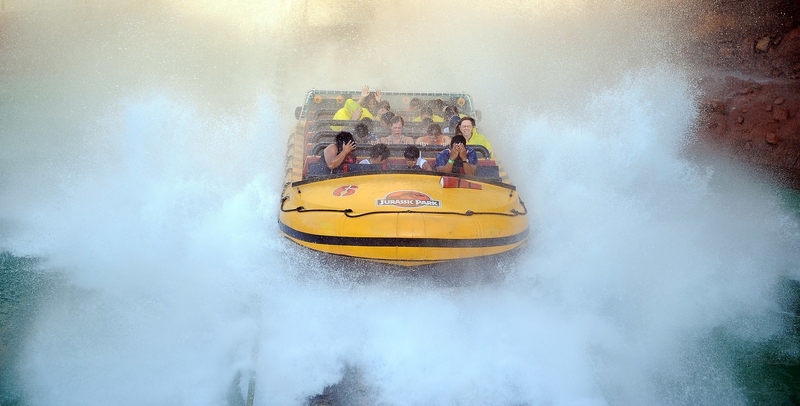 You may also be aware that the iconic blockbuster film had a VERY popular ride at Universal Studios, too! If you didn't have a poncho...well, you were gonna spend the rest of the day super uncomfortable. LOL. The ride will feature an original storyline, taking place within the theme park, and "on the day the Indominus Rex escapes." And, because I'm sure you're wondering, YES this will still be a fancy raft ride with a HUGE 84-foot waterfall drop. But, expect it to be more INTENSE. And it won't be JUST the T-Rex coming at you before the drop this time! According to Universal, it will "mesmerize onlookers in her natural habitat from behind a three million gallon glass encased Aquarium Observatory tank." But it's not just the inside of the ride that's getting a makeover — the whole area will undergo a modernizing revamp, too! Everything from the entryway (with a redesigned Jurassic World gate) to the queue-line videos will be updated. And you can even "meet" Blue, the beloved Velociraptor from the movie, at the "Raptor Encounter" just next to the ride. Hold onto your butts! It's gonna get ~wild~. "Jurassic World — The Ride" opens this summer. For more information, visit Universal's site.